When Kars4Kids awarded a small grant to Bench Mark Program (BMP), the unbridled enthusiasm of its Founder and Executive Director Will Kiefer seemed to leap off the screen. At least that was the impression of those of us in the office as we read Will’s thank you email. We just knew this was going to be a great interview. And anyway, a guy helping kids through weight-lifting? That had to be interesting. Right? Kars4Kids: How long has BMP been in operation? Will Kiefer: BMP began its operation with just three students in January 2014. It was a simple pilot program at that time while I was still in college at Franklin and Marshall College in Lancaster PA. By the time I graduated, I had already decided to abandon my previous post-graduate plans in order to formalize BMP as a non-profit entity and expand our mentoring programs through exercise. From January-May 2014, the program grew from 3 kids per night to over 10 kids a night while renting space at the local YMCA. 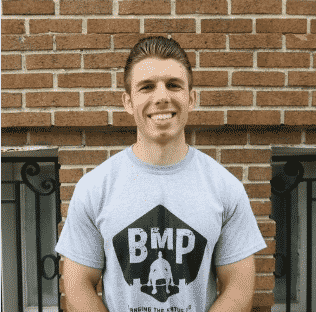 It wasn’t until December 2014 that I had finally raised enough money to allow BMP to begin renting its own gym space. And growth really accelerated from that point on. Kars4Kids: The Bench Mark website says that unlike other programs, the support kids get from Bench Mark never ends: “There is no expiration to our brotherhood.” You say you are available at all times. How often do you get a phone call in the wee hours of the morning? Will Kiefer It’s true, we are available all of the time! Although we really need to change the term “brotherhood” to something more gender-neutral because that clearly does not do a good job of including all of the powerful young women who have started attending our program! 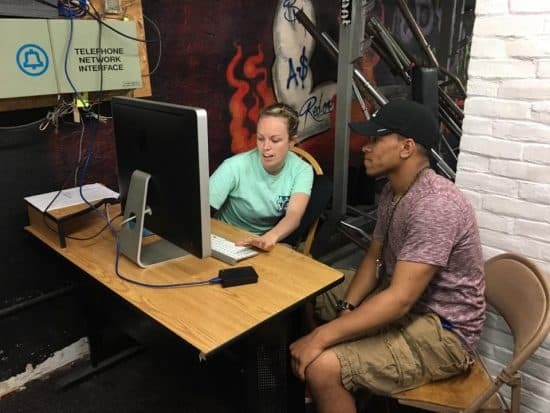 Our gym is open 5pm-8pm Monday-Friday, but when students form a bond with mentors in our gym, they often stay in touch outside of gym hours to catch rides to job interviews, touch base about conflict at home, or get driven to the local DMV to take their drivers exam. We encourage our mentors to keep services within our gym space, but when a student needs something specific outside of the gym setting, we step up to get it done. Unfortunately that DOES mean we get crazy calls in the middle of the night because a student needs someone to talk to. Emergencies strike at the worst times, and our mentors do what they can to assist or direct our students to the right resources. We are always available to lend an ear to a tough situation or point our students in the right direction, even if we can’t fix the emergency issue ourselves. The truth is, through the daily gym workouts together, we become role models to our students and they lean on us for support (sometimes at inconvenient times). Kars4Kids: Describe your lengthiest Bench Mark mentoring relationship. Will Kiefer: Our longest standing mentor-mentee relationships started in 2014. Two of our original three students are studying graphic design at a local trade school (Thaddeus Stevens College of Technology, graduating in 2017) and the third is serving in the US Marines and is currently stationed in Japan. Mentoring is a long term relationship, that’s why we don’t put a timeline on our students. YES we have outcomes that we want our students to achieve, but we don’t ask them to rush to get them completed quickly. Our students know we are here for the long term, and we’re not going to age them out of membership to our program. 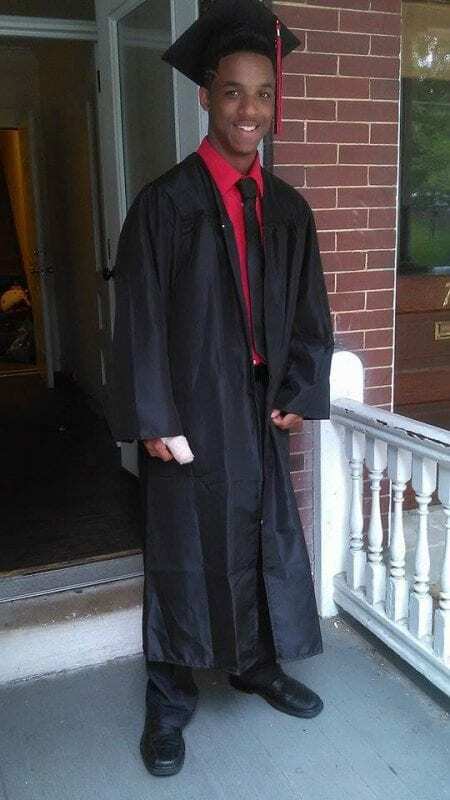 Kars4Kids: Will, you say you were a senior in college, serving as a mentor and personal trainer for at-risk kids when you had an epiphany about “the vicious cycle that was trapping these kids in jails and court rooms.” Can you describe that for our readers? What makes it a cycle: something impossible to escape? Joey works hard in school, but because Joey’s single mother did not have the resources to pay for early education classes or day care for him, he did not enter the school system until he was 7 years old (In Pennsylvania, you don’t have to send your kid to school until they turn 7, then it’s the law). So Joey falls behind in class and can’t understand what the teacher is saying. He is reading and writing far behind the level of his classmates (who started their education before him in many cases), and so he begins to lose focus. His mom is often up all night screaming at relatives and strangers who enter the house downstairs from Joey’s bedroom for some reason that Joey does not understand. He doesn’t sleep much at home and his family move from house to house every few months. That considered, when Joey loses focus in class he falls asleep. He needs the rest and school is quiet so he sleeps when he can’t understand the teacher. Sleeping in classes causes Joey’s grades to slip further and the teachers eventually send him to the office where he gets repeated detentions. He sleeps in detention too, so he doesn’t mind that. Eventually Joey gets sent to a remedial education school where the learning level is much more “at par” with his own. The teachers give him tough love, but he begins to learn. At that remedial education school (still part of the school district, but isolated from other general social activity) Joey makes new friends who live a similar series of struggles as he does. He finds out they are making money after school selling drugs. They have nice things that he has always wanted (jewelry, shoes, car) and so he tries to sell some drugs. He finds that drug addicts are easy to sell to and not too scary. His friends also let him carry their gun for his protection, so he feels OK. He makes significant cash this way and school becomes less of a priority. He now has money to support his family! But eventually Joey sells drugs to an undercover cop. Joey is sent to the Juvenile Detention Center where he meets me (Will from BMP). I come in to network with the kids in the detention center by playing basketball every Wednesday from 3:30-5pm. I tell Joey to come to his gym when he gets out. Joey gets out on juvenile probation with a number of substantial fines and community service requirements. He needs to pay off his fines and he doesn’t know how to find a job. He also knows that nothing will pay as well as dealing drugs. He begins to deal drugs again and gets caught again. This time he gets serious jail time and even bigger fines. He loses his chance at a normal education. Eventually when he leaves prison he has bigger fines and no education to support him in finding a job. What do you think Joey does next? What if Joey has to pay child support on top of all of this? THIS is the vicious cycle, and THIS is what we see at BMP EVERY DAY. When you need money and many of your peers are dealing drugs, that’s what you do too. This fuels the heroin epidemic, and also drives this population further into debt with fewer options to get out. IF a student like Joey comes to see me at BMP after they leave the juvenile detention center, then we can surround them with positive role models (who are from the same background as they are) and we can help them find a path toward gainful employment that pays more than minimum wage. We can use weightlifting to teach basic life lessons like hard work and dedication, and we can give our students the tools to break free of the vicious cycle before they fall in too deep. Working on resumes before the evening workout. Kars4Kids: How many kids would you estimate have gone to college (who would not otherwise have done so) as a result of the association with Bench Mark? Will Kiefer: Four first-generation college students. We are very proud of them, but are equally proud of the almost 30 students who have achieved gainful employment thanks to our services. We have so many students who just want to work and consider college at a later date. That is 100% OK with us, and we love watching our students grow as they venture into the work world. If they choose college in the future, they can always come back for support in getting enrolled. Kars4Kids: You say that Bench Mark’s focus on weight-lifting is because “we are humbled by the same weight.” Is that really true? Is the weight the same for the 90-pound weakling as compared to a mammoth linebacker type? Is the weight of a violent neighborhood, dysfunctional home, and the vicious cycle you describe the same as the weight of living in a safe neighborhood in a two-parent middle class home with parents who can help send you to college? Are weights really the great leveler? Will Kiefer: BMP works because of the mind-body connection. When we work with our hands, our legs, our arms, our abs, we process those movements in our brain in a unique way. With coaching and focus we remind our students that setting goals and working to a big bench press or back squat with our body is NOT fundamentally different than working toward academic or career-related goals. 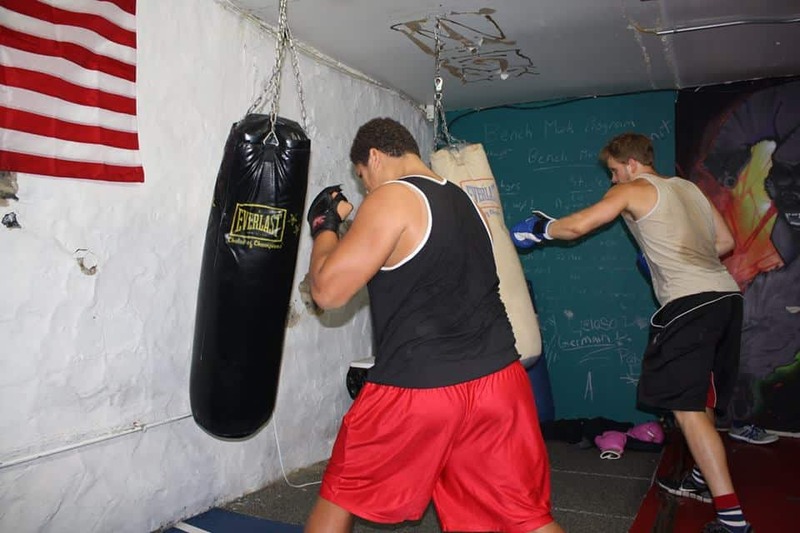 Having worked hard toward gym-related goals and achieved physical fitness success, our students are better prepared to analyze, assess, adjust, and act on other challenges they face on a day-to-day basis. They remember what it took to achieve their goals in the gym, they are no longer strangers to hard work. The gym is where “little victories” are had by students, and we all need those little victories in life to keep us going. The beauty of strength is that the huge linebacker who can squat 300 lbs. cannot do a single pullup, whereas the skinny first-time-gym-goer can easily do 10 pullups. We celebrate all of the ways that strength is manifested in our students. We can also challenge our students to weight lifting competitions based off of percentage of their body weight. When we look at percentage of body weight competitions, the playing field is leveled. If we use the gym to build self-confidence, to establish that mind-body connection, and to help students get their first little victories, they start to BELIEVE in themselves. And then they begin to BELIEVE in their ability to overcome challenges in life. Kars4Kids: How many girls are in the Bench Mark women’s program? 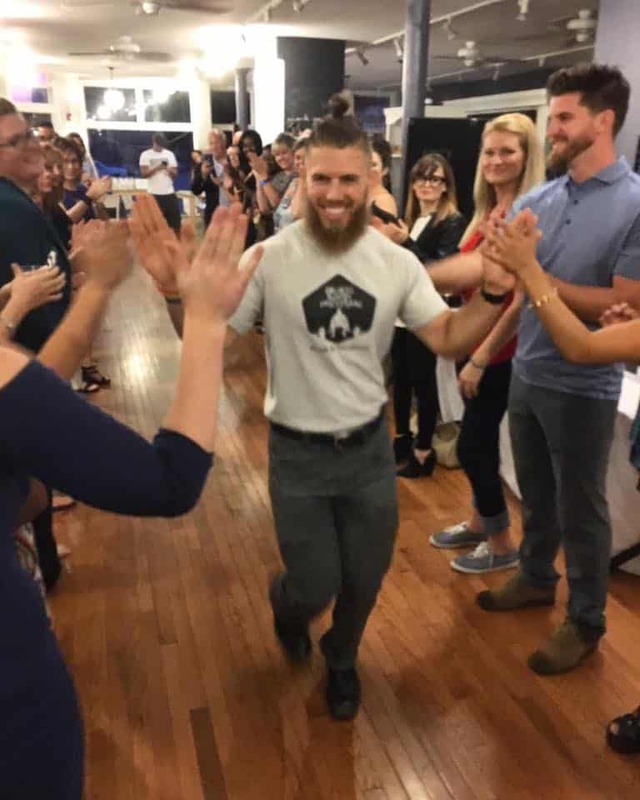 Will Kiefer: The BMP women’s program is relatively new, and we hope to branch it out into its own gym space separate from the men’s program. We don’t have the funding for that yet, we don’t have the funding to appropriately staff that all-women’s space yet, but we’ll get there. So far we have a committed group of 5 young women and close to 10 female mentors. Kars4Kids: What is the connection between Liftoff and Bench Mark? Will Kiefer: Bench Mark Program (BMP) has to earn some income to stay alive. To accomplish this we rent our gym space out to community members and personal trainers during the day while the kids are at school. The gym is only used by students from 5pm-8pm Monday-Friday, so how can we use the space the rest of the time to make some money? We can take on regular gym membership and we can rent the space out to personal trainers to use for their own businesses. LIftoff doesn’t really make us much money yet… but we’re working on getting it to take off (or Liftoff, if you will). Kars4Kids: The Bench Mark website states an interest in creating a Bench Mark Program franchise. It looks as though in addition to the Bench Mark in Lancaster, your colleague Dylan Gordon has started a franchise in Philadelphia. Are there just the two branches for now? Will Kiefer: Franchising can only occur once we become sustainable. Running on less than $60K a year just isn’t sustainable for us. We’ve made it almost 4 full years running on fumes, but going forward we really need to expand the budget to better compensate staff at the industry-average rate. Once we have Liftoff bringing in earned income for the program, we can talk about expanding. Dylan is our main IT/tech guy who lives and works in Philly but we do not have any physical presence in that area yet. We have two separate gyms in Lancaster, PA and that’s it for now. We really need Liftoff to grow as our “social enterprise engine” so that we have some serious resources to use in addition to what our donors provide for us. For BMP to franchise, future owners need to have something to invest in. Kars4Kids: There was a video on the website where you mentioned that when Bench Mark participants become so busy with school, work, and life, this represents graduation from Bench Mark. That’s an interesting contrast with the no-expiration-date brotherhood (and soon to be sisterhood). What can parents take away from this dual message in their attitude to their children? Will Kiefer: Graduation occurs naturally when kids are just too busy to attend the 5pm-8pm gym sessions. 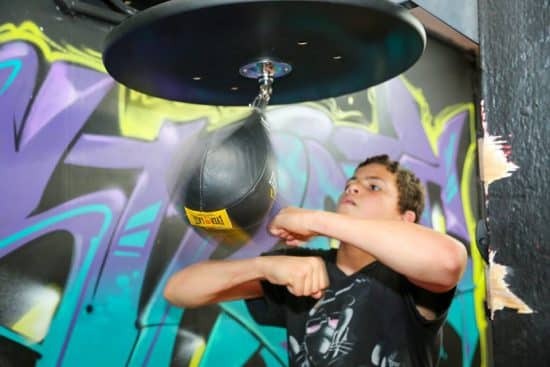 At that point, when students are busy with school, or a job, or another positive-after school program, our mentors grant that student a 24/7 gym pass. If they are staying out of trouble; getting off probation; advancing to the next grade level in school; becoming gainfully employed; and giving back by mentoring other students, they have achieved all of our desired outcomes. This is the goal for all of our students, our recognition of their hard work over the years by gifting them a 24/7 gym pass. We’re always available to consult with these students who have graduated, anytime they need us. But with their busy schedules, they begin to workout at the gym during program off-hours. We keep security cameras rolling 24/7 as well to prevent any funny business. Parents should know that we want our students to grow out of our supportive services that occur nightly from 5pm-8pm and move into their own structured workouts. Parents should also know that even though we don’t see their kids at the gym from 5pm-8pm most nights at the point of graduation, we still keep in touch with them and check in with them. Kars4Kids: What’s next for Bench Mark? Improve outcomes for all of the students who walk through the BMP door: More kids who stay out of trouble, more kids who graduate to the next grade level in school, and more kids who become gainfully employed with our help.